The DBPower X600C is a very easy to fly hexacopter that will offer you lots of fun. 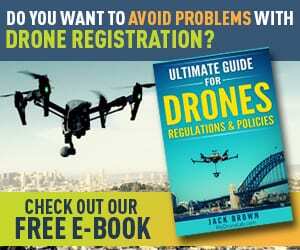 It is an inexpensive drone that is perfect for those who are less experienced in this field, as well as for professionals that want to try something new. 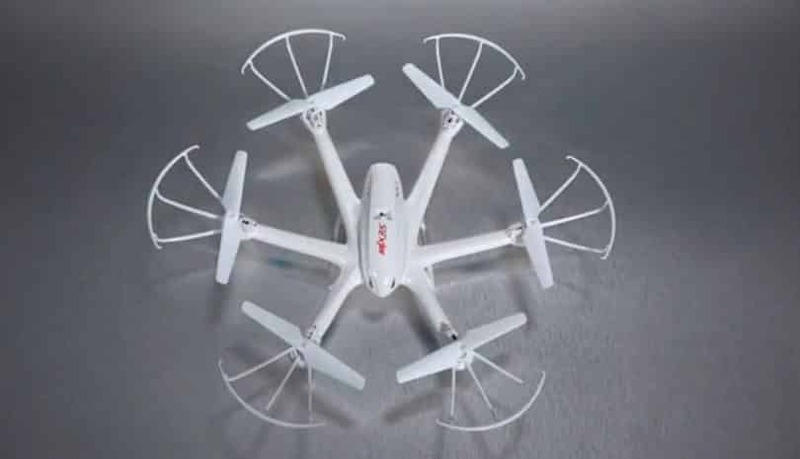 This drone is very durable and it has a 6-axis gyro system which will help you have a stable flight even if you face strong winds and will offer you up to 8 or 10 minutes of flight. 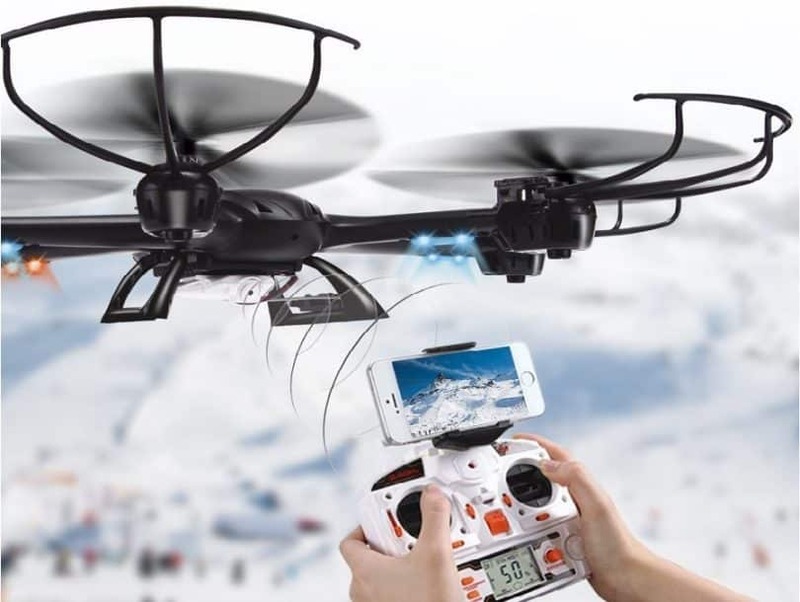 You can impress your friends with different amazing tricks and the 0.3MP camera has an FPV function (first-person view) so you can enjoy the recordings in real-time on your mobile device. It also has some of the features that are pretty popular with the drones popular on the market right now. 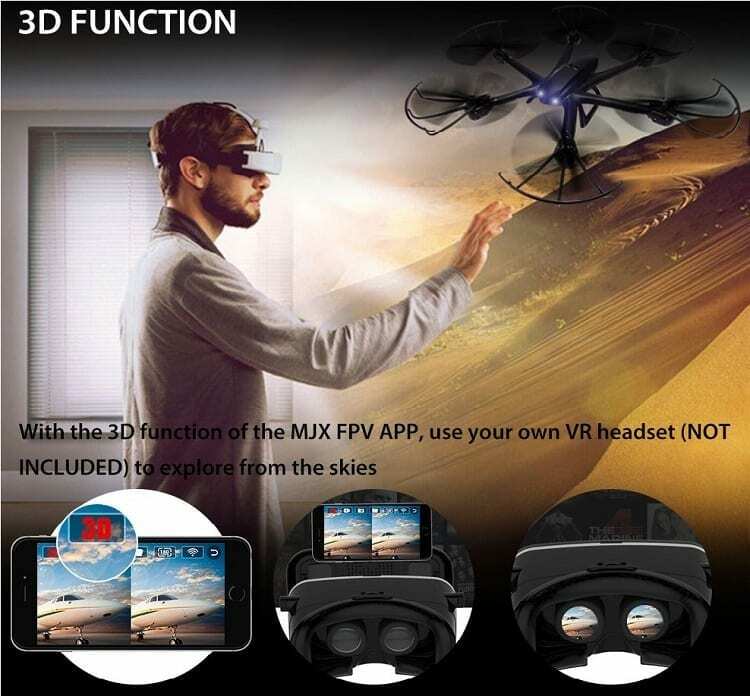 These include headless mode and one key return to home and the coolest thing that you will find here is that you can use a VR headset to enjoy the experience in prime time with this badass hexacopter. The DBPower X600C is perfect for indoors and outdoors flights and it will be very fun to fly. So, if you have 14 years and over, and you are a hexacopter lover then you came to the right place. Now let’s see what this drone has to offer. The package dimensions are 23 x 13.5 x 3.5 inches and it weighs 2.35 pounds. The installation is very easy. You will only need the batteries for the transmitter and to attach a wire to the motor. Even if I said it is perfect for beginners, I suggest reading the manual carefully before starting the flight. 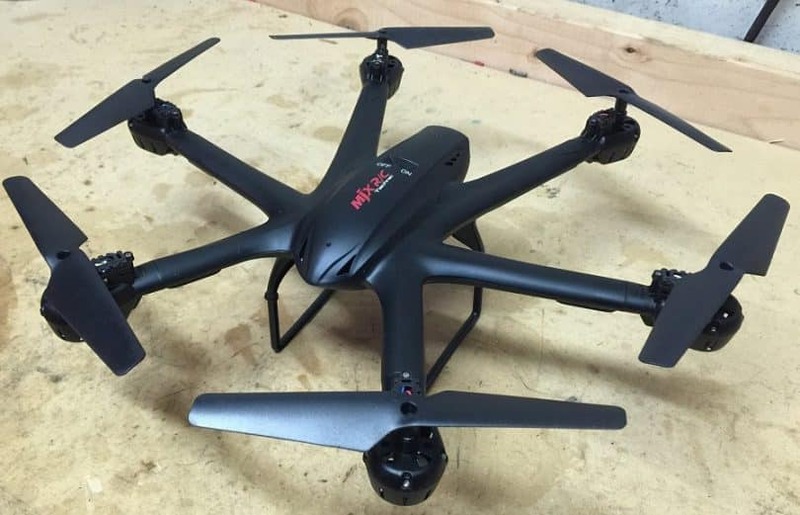 The X600C is a durable and sophisticated hexacopter. According to users who already tested its durability, nothing seriously bad happens to the drone’s body or motors when it’s crashed. The only thing that you have to be careful with is the landing gear that can break easily if you land it at high speed. So take it easy with the landings. The available colors are white and black and it has LED lights so you can have fun flying it at night as well. The two LEDs in the back are red and the other four are blue so it can be easier with the orientation. However, keep in mind that users noticed that the LED lights are more difficult to see on the black drone than on the white drone. The plastic quality is very good and it has a beautiful and elegant design. The size of the drone is 15.2 x 5.3 x 2.4 inches and the weight is 2.2 pounds. The blades are very durable and on top of that each blade there is a protective guard made from ABS so the minor crashes won’t be a problem. Even more, you can easily remove the drone’s rotor case if you want to replace a motor or for maintenance. DBPower X600C is equipped with a 0.3MP built-in camera with WiFi which can be connected with iOS and Android devices. This will give you almost good quality videos. I’m saying that because the camera is not that brilliant but hey, for this price it gets the job done. 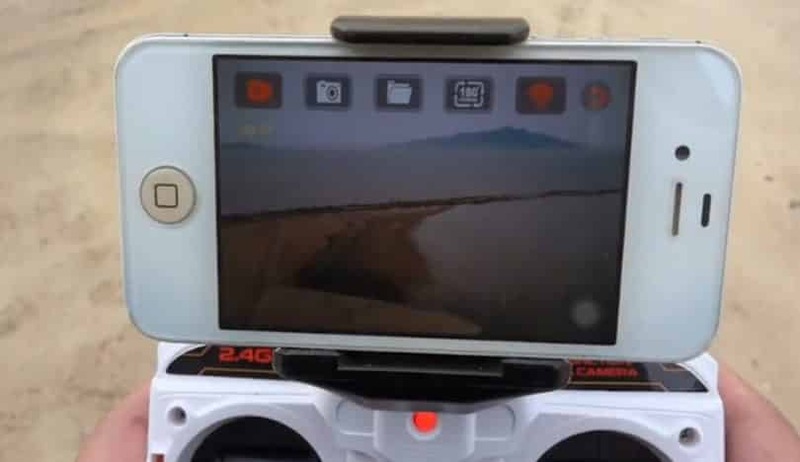 If you want to have the FPV function you will have to install the MJX FPV app that will allow you to see, on the phone, videos, and photos in real-time. You don’t need an SD card for the drone (it doesn’t even have a slot for that) because all the videos and photos are saved directly in the phone. A cool thing about this app is the 3D mode. If you have a VR headset or you are planning on buying one, you can put your phone inside and have fun while taking a virtual flight. Once you installed the app you will only have to switch the visual mode into 3D and let the fun begin. However, if this is your first time doing something like this, probably it will be much better if you let someone else fly the drone for you until you get used to it. As I said, the quality is not that incredible and if you have motion sickness, probably won’t be the best idea ever. It’s up to you. If you want a better quality video you can try to attach a camera to the drone but it must be a small, light one. Others have tried with a GoPro and the hexacopter didn’t last long in the air and it crashed. It didn’t go too well for the GoPro camera or for the drone which came down with an extra weight. So, if you are looking for a drone just for the camera, maybe another model will suit you better. I will talk about this in a section below. 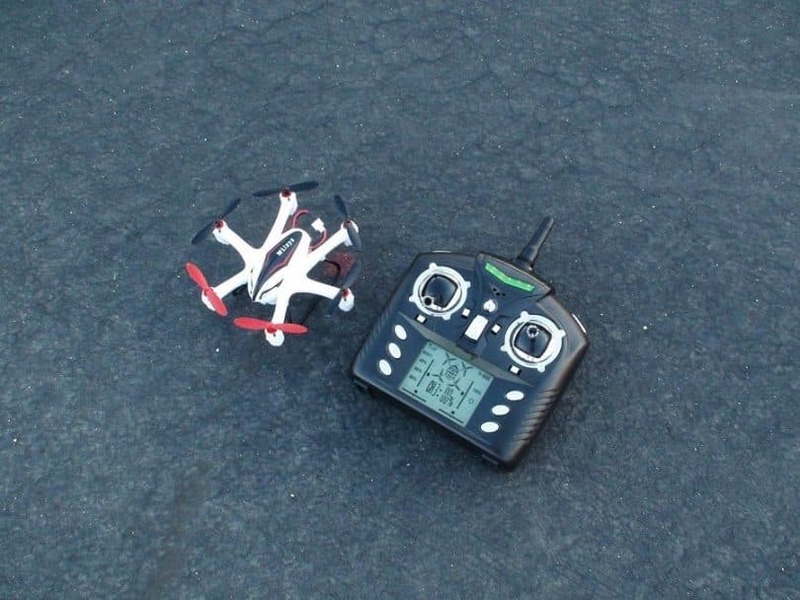 This hexacopter uses 7.4V 700mAh lithium batteries which will provide you with 8-10 minutes of flight. But the part that many of you will not like is the battery charge time: this is 120 minutes. Yes, I know it’s a little bit too much for only 10 minutes of flight but we are talking here about a drone that has speed and six motors. The good part is that you can charge the battery without having to take it out from the drone. I’m saying that because you will have to undo a screw every time you need to charge. It is not difficult and it doesn’t take much time but for the lazy people out there, you know what I mean. But, if you want to have fun with it more than 10 minutes, you can buy extra batteries. Keep in mind that you should take a small break between flights to cool down because the motors will heat up. 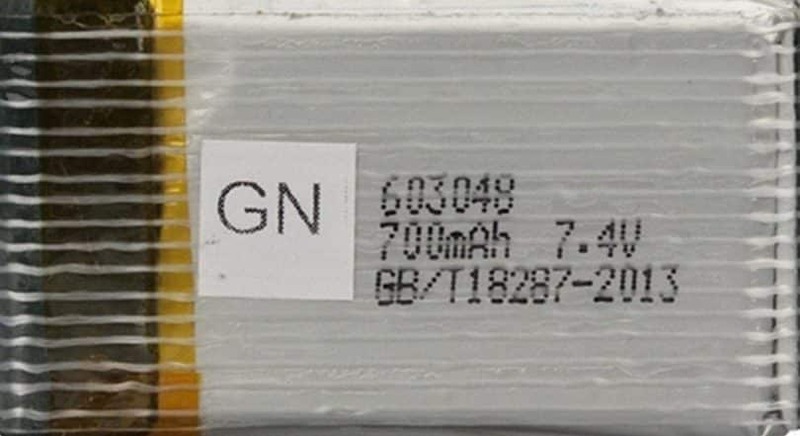 The transmitter uses 3 x AA batteries that are not included in the package. The controller is not complicated at all. Actually, it is perfect for those who take their first flight. It has a range of 100 meters but some users actually mentioned they reached 120 meters and the drone didn’t collapse. The channel frequency is 2.4G and is very easy to use so you can make all kind of flips. The transmitter has a phone stand so you can easily watch the videos in FPV. On the controller, you have rates buttons. Thus, you can choose from three rates: low, intermediate and advanced. Although advanced is about the same thing like intermediate, you have the auto flips. You have to be careful here because the controller will always remember the last rate that you used. So the next time when you turn your transmitter on, you don’t want to get automatically in flipping mode and crush it into something. 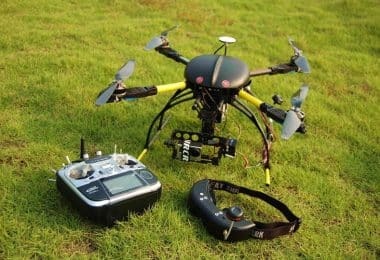 Unlike the quadcopters or the smaller models that may not have a good stability in flight, this hexacopter has a whole new level of stability in air and has more power due to its 6-axis gyro system. Actually, due to the six motors, it can be considered better than a four motors device. With the help of the Headless Mode, you will not have to worry about the orientation of the drone – it will be oriented in the same direction as you controller. Another amazing thing is the One Key Return Function that uses the built-in GPS. With the press of a button, the drone can come back automatically. This is possible because the GPS will remember the point from where it left. So, if you are too lazy to bring the drone back or if the signal is lost, the X600C will come back by itself. Also, you can prevent the drone from flying away with the Altitude Limiter which will adjust the altitude settings. The hexacopter can be flown in all the directions, can make 3D rolls and has the Throw to Fly feature. As I said before, the drone is pretty affordable for what the DBPower X600C has to offer. With the price of around $100, you will have all that I listed above which is quite nice from where I’m, standing. About the warranty, we didn’t find much information, but, that depends very much on where you will buy it from. So before purchase, make sure to ask about this. It is very important to know your risks in case the drone has a malfunction from the producer. The cool part is that you have FPV and you can see on the phone what the drone is filming in real time. You will need the MJX FPV app but this can be downloaded for free from the app stores. However, FPV is quite banal compared to the fact that you can also use a 3D VR headset (not included in the package). Even if the camera is not much, for 10 minutes you can fly like a bird and get dizzy from all the flips. Another unique feature can be the durability because you can hardly find affordable drones that have a strong body and all the protection you can get for the propellers and motors. Other features are the headless mode, the one key return and the altitude limiter we just discussed above. Now let’s see other models that come closer to our drone. These come in handy when you don’t want to buy the DB Power hexacopter or when you’re looking for similar features in other products. If you don’t have a VR headset at home and you have some extra cash, like $140 (with $33 more than our DBPower X600C hexacopter, you can have a drone with the headset included in the package. This quad is bigger, with the size of 46.8 x 46.8 x 12 cm, it will last longer in strong winds and is pretty tough too. It also has the headless mode, one key return home features and LED lights so you can play with it when is dark outside. If you are a beginner you may want to set the speed on low and once you get used to it you can set it on high. The drone lets you enjoy 360 degrees flips, it has a steady flight and you can fly it indoors as well as outdoors. 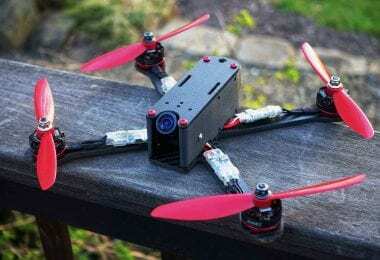 This quadcopter connects with your phone through WiFi and it has first-person view feature that allows you to see the videos and picture it takes in real time. The camera is not bad but I can’t tell is very good either. Is perfect for those who just want to have fun with the VR headset and learn the basics. So here you only get to choose if you want a hexacopter with the VR headset included in the package or not because the other features are pretty similar. This drone has a better camera but you don’t get to enjoy the VR headset. At the price of around $100, you get speed, headless mode, one key return home features, and 3D flips. The camera that you get with the hexacopter is the C4008 HD camera with 1.0MP. It also connects through WiFi with your phone (android and IOS system). The battery is the same one that the X600C hexacopter has so the flight time is 8 to 10 minutes and the charging time 120 minutes. 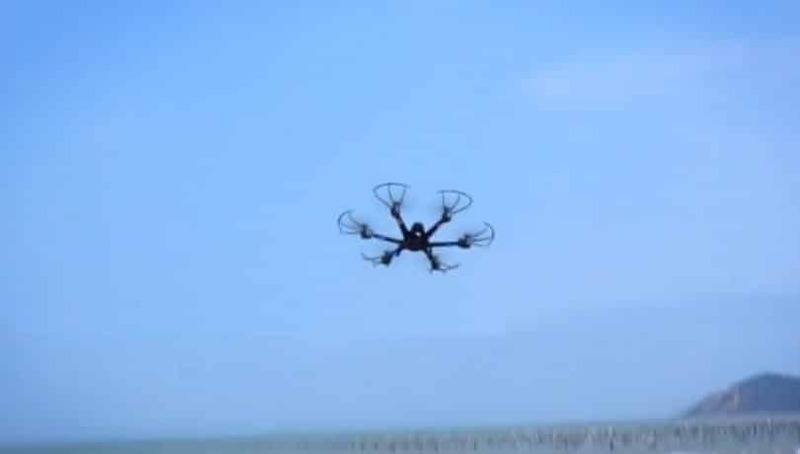 The distance you can control this drone for is about 100 meters. It is very easy to control and do a bunch of tricks due to its 6-axis gyro system. Also, it can resist in stronger winds and the best part is that this drone can offer two extra motors, a set of propellers, and two more batteries that come in the same package. So, for an affordable price, you get quite a few interesting features. If something were to happen with the motors, there are other two for replacing and you don’t have to worry about having only 10 minutes to fly as there are two more batteries waiting for you. You will only have to remember to take some breaks between the flights so the motors don’t heat up. 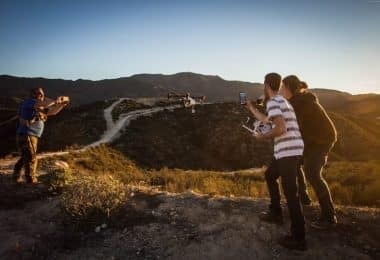 Speaking of taking care of the motors, in order to get more familiar with them and know how to treat them properly, we suggest checking out our article about drone motors. This one is a really cute hexacopter and it only costs $100. It comes with a 720p HD camera, a 4 GB memory card and a card reader. The controller has an LCD screen so you can see FPV videos. The device has a 6-axis gyro system so it is very easy to maneuver and it does 360 degrees flips. 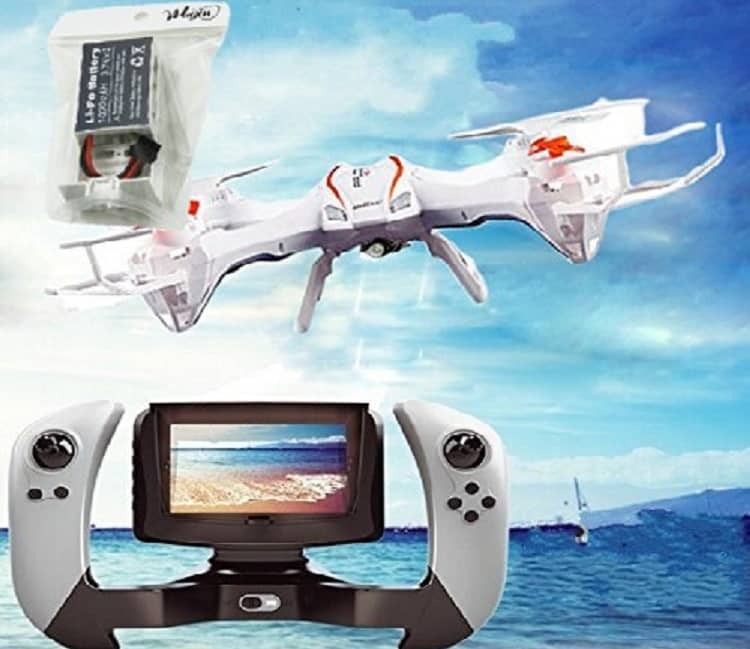 It is a ready-to-fly drone and it only needs 6 AA batteries for the controller to take off. The size is 6.7 x 6.1 x 2.0 inches. It has 3.7V 500mAh batteries so the flight time is just about 5 minutes, with a charging time of 90 minutes. But the small flying time interval can be changed with extra batteries that are not expensive. Also, you can learn a few battery charging and discharging trick, by reading our article about the ways to extend your quadcopter’s flight time. It also has features like headless mode, one key return home, and LED lights so you can fly it easily at night. It is perfect for beginners who want something small and cute. As you can see, there are other models that support almost the same features as the X600C. Now it is up to you to decide if the DBPower has it right or you find the other models to be much better. Overall, the price is pretty good for what this hexacopter can do. It is perfect for beginners because it is so easy to fly and it has all the protection you need so you don’t break it into pieces from the first flight. Once you get some confidence you can flip it in every direction you want. 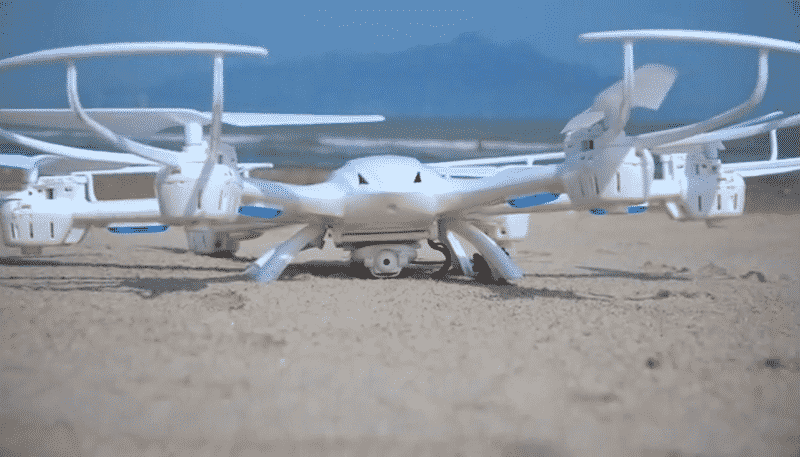 The DBPower X600C drone has a very smooth flight but lasts only 10 min. Charging is about 2 hours, but you can charge without removing the battery. This drone is very well build and it is perfect for beginners. And you should definitely check it out! For me, the VR headset feature is amazing. I mean, it’s more than the FPV that you get with an ordinary drone. With this hexacopter you can take part in the flight as well in the 360 degrees flips. 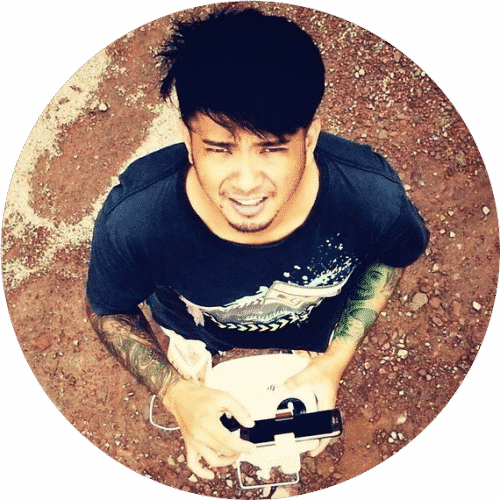 Drone Jobs: Talking About Dream Careers!